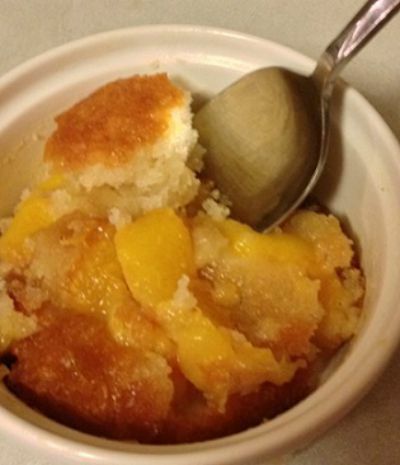 Classic Peach Cobbler recipe that is a very easy-to-make recipe from the Betty Crocker Cookbook. I love to make this dessert when fresh peach are in season. Juicy peaches covered with a crunchy crust make this cobbler the perfect ending to a summer meal. * To slice peaches, carefully cut the peaches in half from top to bottom and gently twist them to separate the halves from the pit. Remove the pit. Lay the peaches halves flat on a cutting board and slice into wedges about 1/4-inch thick. Can substitute a 29-ounce can of peaches. Preheat oven to 350 degrees F. Butter a 10-inch glass pie plate or a 9X9-inch rectangular pan. Place butter in a microwave-safe dish and melt; set aside. In a large mixing bowl, whisk together the Bisquick Baking Mix, cinnamon, and nutmeg. Whisk in the milk and then add the melted butter, mixing thoroughly. Pour the batter into the prepared pie plate. In a separate bowl, stir together the sliced peach and the sugar. Spoon the peach mixture over the top of the batter as evenly as possible. Bake, uncovered, 50 to 60 or until crust is bubbly and golden in color. Remove from oven and let cool on a wire rack for at least 10 minutes before serving. 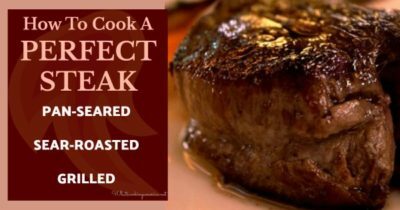 Serve either warm or room temperature. To serve, top with vanilla ice cream or whipped cream.